With the presidential election heating up, a hot topic at the forefront is deportation. The focus has been on illegal immigrants. Author Shoba Sivaprasad Wadhia, a child of immigrant parents, who has lived in the U.S. all of her life, has a passion to see justice for those who have also made the United States their home. They have put down family roots, raising their children that were born in the U.S., and paying taxes, only to be threatened and to have their families torn apart due to deportation. 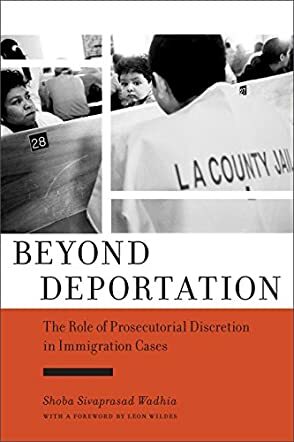 In Beyond Deportation: The Role of Prosecutorial Discretion in Immigration Cases by Shoba Sivaprasad Wadhia, she goes the distance in educating the reader on all of the elements of the laws pertaining to deportation. At the forefront is the prosecutorial discretion law, which was made famous by the case against John Lennon and his wife, Yoko Ono. The prosecutorial discretion law states that, at their discretion, attorneys can decide whether and what type of charges should be made against a person or person(s). For an immigrant, battling against a prosecutorial discretion law case without a knowledgeable attorney would be an uphill losing battle. Beyond Deportation is packed with a wealth of information. When working as a legislative lawyer for the National Immigration Forum, the author notes that the halls of the Department of Homeland Security were always full, caseloads were heavy, and emotions were running high because even then deportation was like a revolving door. As Wadhia points out, proper laws must be in place to protect those that are living productive lives, which is so true. This is why President Obama placing measures in place, like that of the Deferred Action for Childhood Arrivals (DACA) to help the cause in legalizing undocumented immigrants from being deported, is a great starting point. There are still some laws that must be in place for the parents and other family members that have lived in the U.S. for at least 10-15 years. We still have work to do. Great job!